← How to fill from in scan image file online? How to analyze PDF format and extract text and images separately? Question:I need to extract the "articles" from this PDF magazine which has both text and images. The image content has to be placed separately, the text extracted (as far as possible) and placed separately.How do I go about doing this? Is there any solution on VeryPDF? Answer:According to your needs, you need to use two tools to finish this job. For one thing, please use VeryPDF PDF to TIFF Extractor to extract image in the PDF magazine and save it as tiff image file. 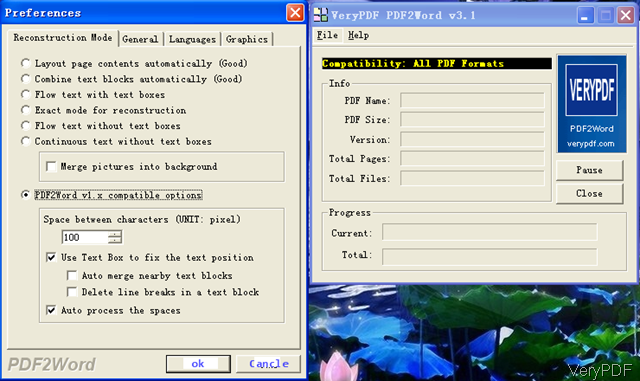 For another thing, you can use software VeryPDF PDF to Word Converter to extract text part from it. Actually, if you do not extract image from PDF in batch, you can convert PDF to word and then copy image from it. Please choose the proper method according to your needs. Say if your main difficulty lies in extracting image, please use the first software. If your main question lies in extracting text, please use software PDF to word. Here I will introduce the cheaper method, one software can handle two question even if it is a little time consuming- PDF to word converter. Step 1. Free download PDF to Word Converter. Please do not buy this software in a hurry as it allows you to try it more 30 times free. So you can try it and then pay for it if you feel good. This software is GUI version, when downloading finishes, there will be an exe file. Please install this software by double click the downloaded exe and following installation message till there is icon showing up on desktop. Simply click it then you will see the following snapshot. Click button File then you will see menu option next to it. Step 2. Converting PDF to word for extracting text and image separately. When you open software interface, please do the setting part first. According to your question, simply choose the first one Layout page contents automatically good. Then you can drag PDF to software interface and wait a few seconds. The output word will be opened automatically after conversion. The following snapshot is from the converted word document, please have a check. Now you can extract text and image in the output word document separately. Like I said above, the problem is that by this software you need to extract text and image separately by hand. But this is the cheapest method to finish this task. How to extract text from PDF with positions? How to call PDF Editor Toolkit Pro SDK from VBA source code? What can I do to convert image to text? How to convert PDF to Excel by PDF Table Extractor OCR? How to extract French table in PDF to Excel? How do I extract all the numbers from a PDF? 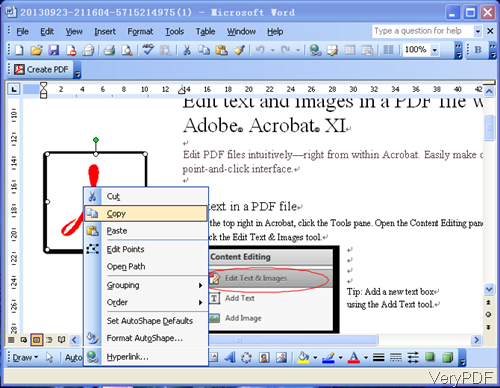 How to use OCR tools when convert PDF to Office? This entry was posted in Table Extractor OCR and tagged extract text. Bookmark the permalink.